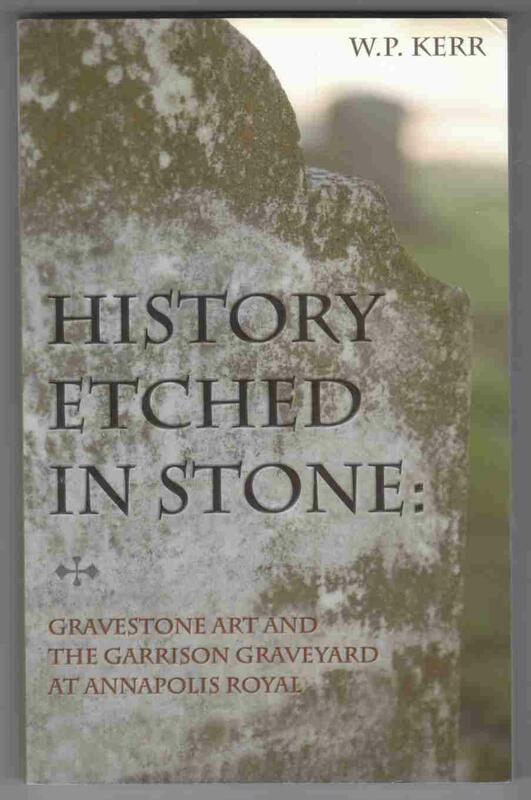 W. P. Kerr, History Etched in Stone: Gravestone Art and the Garrison Graveyard at Annapolis Royal (Kingston: Canadian Defence Academy Press, 2011). 193 pages. Having recently developed a genuine appreciation for burial grounds, epitaphs, and the worship of the dead, I presumed that History Etched in Stone: Gravestone Art and the Garrison Graveyard at Annapolis Royal would merely be a compliment to the cemeteries I have previously explored: lacking in imagery and telling only the most basic information of the deceased. Yet author Wayne Kerr, a senior interpretation specialist with Parks Canada, demonstrates that graveyards are not simply antiquated resting places that exist in the cobwebs of our memories, but are in fact valuable archives providing a window into the past, present, and future. Kerr combines historical accounts and artistic analyses to explain both the societal and military importance of the Fort Anne cemetery in the town of Annapolis Royal, Nova Scotia. With over 230 gravestones dating from 1720 to the 1940s, this historic site has undergone a substantial transformation from its origins as a French-Acadian graveyard to a British burial ground, and finally, a local cemetery. 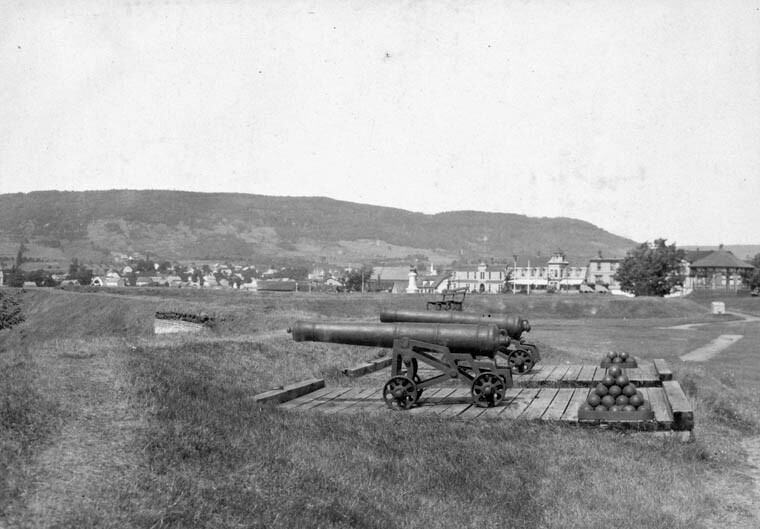 Despite the rich military history of Annapolis Royal – it has been attacked and defended more often than any other single place in the country – the graveyard provides insight into both Canada’s military past and the social history of settlement in the region. 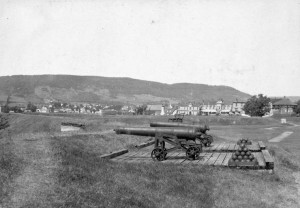 Two cannons overlooking Annapolis Royal, 1910 (Library and Archives Canada, PA-020742). Opening with a brief history of burial rituals, Kerr successfully reminds his audience of the primary function of gravestones: to serve as forms of remembrance for the deceased, symbolizing one’s passage on Earth. 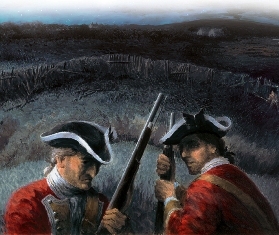 He proceeds to outline the history of Annapolis Royal, emphasizing the earlier Mi’kmaq presence, the Anglo-French rivalry, and the British character that developed throughout the eighteenth century. While the date of the first burial in the graveyard is unknown, members of the LaHave settlement who relocated to the area in 1636 seem to have been the first people to use the site for internments. The earliest identified military grave belongs to Ensign George Audley, who died at the fort in 1806. Although the last troops withdrew from the garrison in 1854, citizens continued using the graveyard until the early 1940s. As with many burial grounds, the garrison graveyard has endured neglect, disrepair, and weather damage throughout its history. In 1968, the Federal government took ownership of the graveyard, designating it a National Historic Site of Canada in partnership with Fort Anne. After providing a basic history of the graveyard and the fort, Kerr delves into the symbolic importance of the various images that appear on the gravestones. Winged skulls and souls, trumpeting angels, and urns are among the most common motifs. Kerr successfully emphasizes that these images are more than visual pleasures as they also reveal society’s attitudes towards death and the afterlife. Whereas winged skulls accentuate the deterioration and shortness of life, soul effigies emphasize resurrection and heavenly reward. These transformations in motifs were accompanied by changes in religious thought and grieving. The soul effigy, for instance, embodied the movement away from a religion that frightened to one that uplifted and inspired. Careful not to isolate the graveyard from the formative events of the time, Kerr intertwines the development of the grounds with trade, economy, and political upheaval. 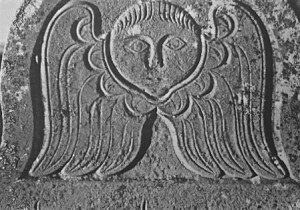 Trade between New England and Nova Scotia meant that some gravestones likely came from carvers in Boston. The oldest English-inscribed gravestone in Canada, dating to 1720 and belonging to Bathiah Douglass, wife of a senior member of the train of artillery in the garrison, is attributed to Boston carver Nathaniel Emmes. Kerr also explains how the American Revolution impacted the graveyard at Annapolis Royal, resulting in an influx of United Empire Loyalist refugees to the area and ushering a neoclassical revival in gravestone art. Kerr’s analysis of the epitaphs and headstones at the garrison graveyard provide a window into the military and social history of Annapolis Royal. Most of those at rest in the graveyard had some connection to military life, whether they were garrisoned soldiers, relatives, garrison staff, or craftsmen employed by the Board of Ordinance to work on fortifications and buildings. The plot of the Gilpin family, for instance, contains both military members and regular citizens. Of the sixteen family members buried in the graveyard, some worked for the church while others, such as Lieutenant Arthur Fowden Gilpin of the Wiltshire Regiment, served in the military. What emerges, then, is a history characterized by the intermingling of military and civilian life. The development of the graveyard, just like the development of Canada, could not have proceeded without an evolving military presence. Inscriptions and epitaphs, however, can only reveal so much. The limitations posed by the fragmented nature of these aging headstones are augmented by the extensive background information Kerr provides. Indeed, Kerr explores an important aspect of Annapolis Royal’s social history by delving into the life histories of the deceased, thus creating a more intimate relationship between the reader and the graveyard. Whether recounting the professions of the deceased or their familial ties to the military history of the region, Kerr ensures that the graveyard exists not as an isolated reminder accessible only in death, but as an evolving account of Annapolis Royal itself. Unfortunately, Kerr sometimes reaches too far and sacrifices historical relevance and narrative stability for superfluous background information. When presenting the gravestone of Laura Johnstone, for instance, Kerr divulges an extraneous account surrounding Johnstone’s death that screams of romantic fiction rather than historical importance. In 1830, Johnstone was apparently found in flames and doused in water by her maid, but succumbed to her burns. “Call it a twist of fate or simply someone’s sense of dark humour,” remarks Kerr, “but the flower Deadly Nightshade was once growing over Laura’s gravestone” (p. 78). Though entertaining, this tale has little bearing on the symbolism of the gravestone and the significance of the graveyard. This isolated example is similarly echoed elsewhere in the book, as Kerr too often recounts clouded histories at the expense of more useful historical context to the graveyard.and its residents. Another drawback is the manner in which Kerr organizes the information and presents the images. 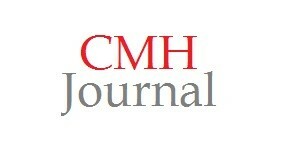 He often bounces back and forth between decades in order to present common themes, designs, or organizational patterns. Had he presented the information chronologically, greater historical fluidity would be maintained. Furthermore, Kerr neglects gravestones dating after the late nineteenth century, even though residents of the tofwn continued using the site for burials until the 1940s. This detracts from the continuity of the book, preventing a clear understanding of the graveyard’s transformation over the later decades. While the military character of the graveyard had diminished considerably by this point, an examination of later epitaphs and stones would properly illustrate its maturation over time. 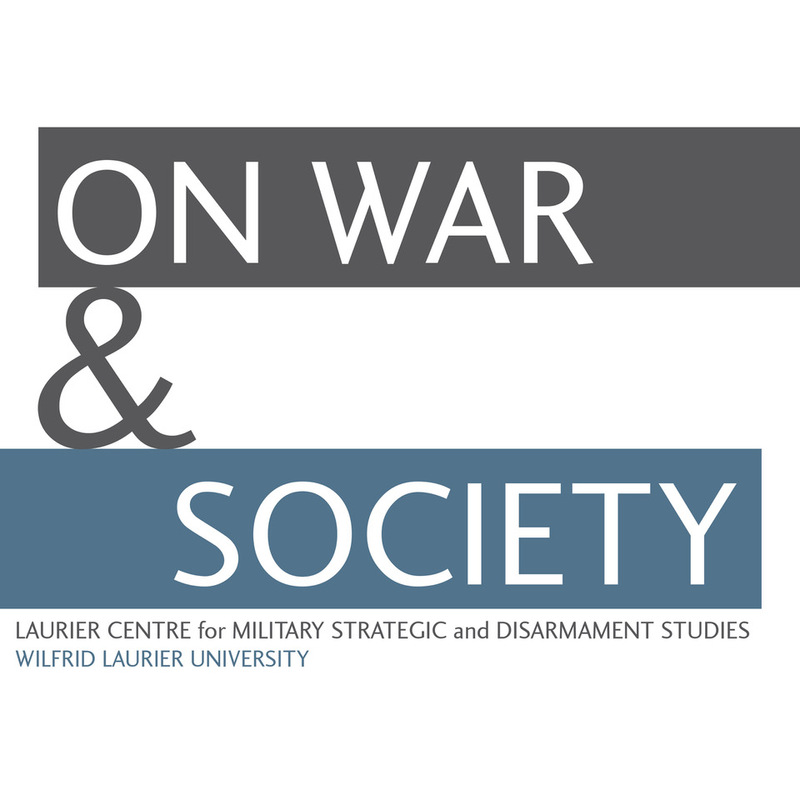 Such flaws, however, do not diminish the value of Kerr’s work and its contribution to Canada’s military and social histories. 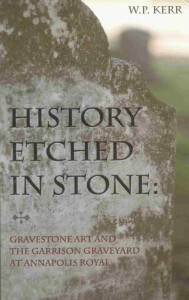 With comparatively little literature and scholarly work on Canadian cemeteries, History Etched in Stone provides an in-depth documentation and analysis of one of Canada’s most historic graveyards. Kerr does not bombard his audience with his own beliefs, instead compelling them to form their own conclusions on Annapolis Royal and the garrison graveyard. As the book draws to a close, Kerr asks: “The fundamental questions about grave art still remain. Does it ‘speak’ to you? Does it move you? What does it mean to you?” (p. 145) Although open to interpretation, the historical significance of the graveyard cannot be refuted. Threatened by vandalism, environmental changes, and natural decay, all gravestones demand maintenance and respect from future generations. 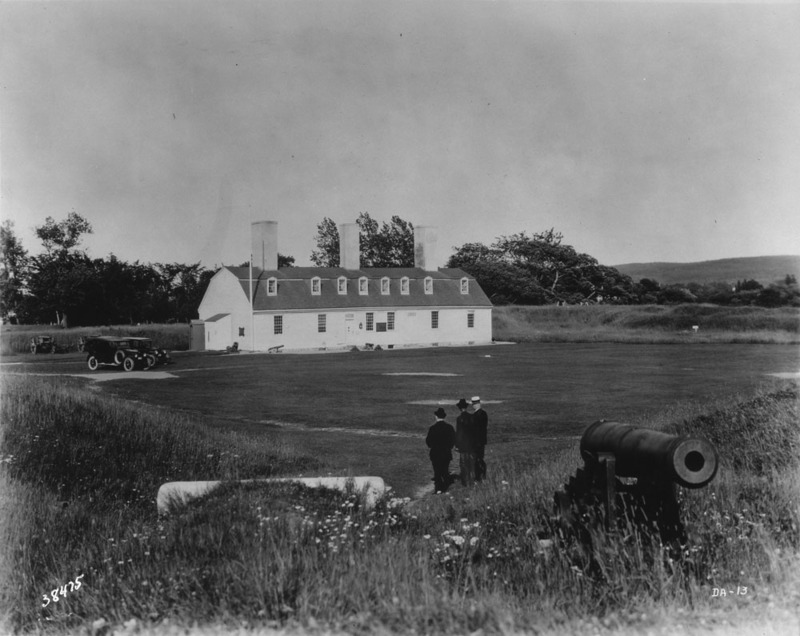 As Kerr’s analysis shows, history does not lie dormant in the garrison graveyard at Annapolis Royal, but operates as an evolving orator of Canada’s past.